How the most important man of our national movement viewed the most important sport in our country? Moniya was fond of playing out of doors, came home only when he felt hungry, and disappeared as soon as he had had some food. Nothing could curb his irrepressible energy. His father’s presence had some restraining effect, but the moment Kaba’s back was turned, he would begin turning everything in the house upside down. He was an adept at hide-and-seek and moi-dandiyo. Sometimes he used to take part in cricket or some such games. There were some physical culture appliances at home. Occasionally, he took exercise with these or went out for a drive in his father’s horse-carriage, but not often. His favourite exercise and recreation were long walks.About a furlong from the house in which Moniya lived, there used to be a chowk, known as Shitala Chowk. On moonlit nights parties of Hindu and Muslim boys assembled there from different quarters of the city and played games for an hour or so after dinner. Moniya also used to go there but he had a temperamental dislike for boisterous games. He did not participate in them, but loved to officiate as umpire and saw to it that the rules of the game were strictly observed by those who engaged in them. If anyone played foul, he would politely but firmly put him out of the field. He had a reputation for strict impartiality and everybody respected his award. When disputes arose among the players, he invariably acted as the peacemaker. About a furlong from the house in which Moniya lived, there used to be a chowk, known as Shitala Chowk. On moonlit nights parties of Hindu and Muslim boys assembled there from different quarters of the city and played games for an hour or so after dinner. Moniya also used to go there but he had a temperamental dislike for boisterous games. He did not participate in them, but loved to officiate as umpire and saw to it that the rules of the game were strictly observed by those who engaged in them. If anyone played foul, he would politely but firmly put him out of the field. He had a reputation for strict impartiality and everybody respected his award. When disputes arose among the players, he invariably acted as the peacemaker. 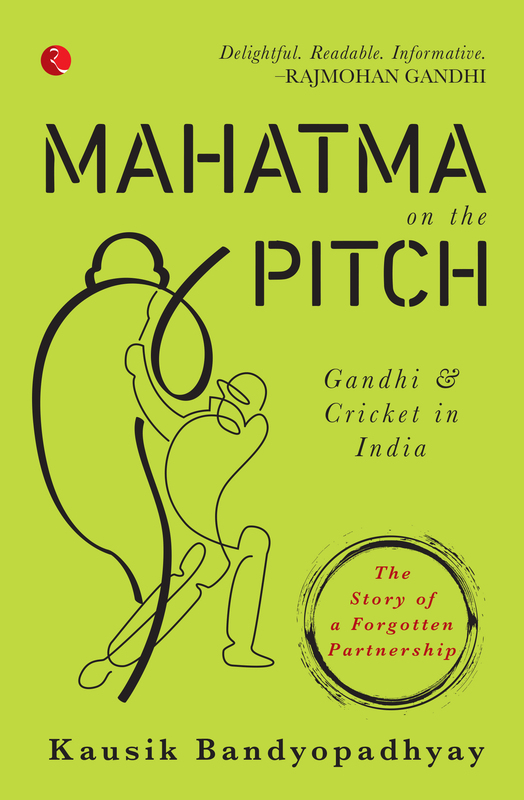 This excerpt from Mahatma on The Pitch by Kausik Bandyopadhyay is reprinted by permission of Rupa Publications India. Find the best price for Mahatma on The Pitch here.